According to IDC, the industry of Big Data along with business analytics are expected to grow to $203 billion by the year 2020. It has also been reported that it will produce almost 180 Zettabytes of data every year till 2025. As there will be lots of data to handle in the future, machine learning will play a big role in doing that. It is predicted that a time will come when humans will be too tired of feeding instructions into computers for analyzing data manually and the machine learning will come into the picture. Machine learning was responsible for utilizing utmost potential that can be taken out of big data. It covers the procedure that empowers computers in learning its own rules for achieving a preset goal. 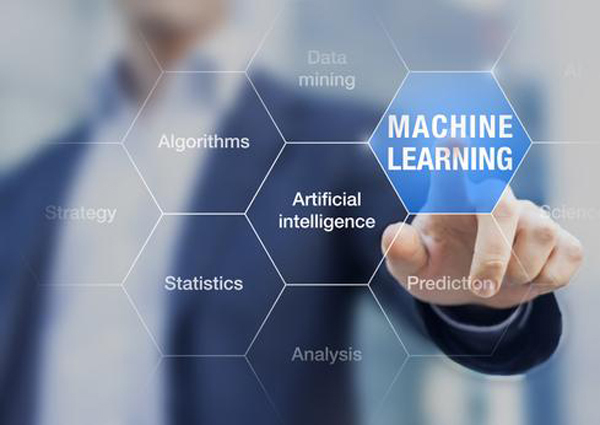 It is referred to it as machine learning as it helps in minimizing the requirement for programmers to feed large sets of instructions. However, this does not mean that machines will be able to replace human insights which will always be required in organizations for offering appropriate solutions by comprehending data. That’s why there is a huge demand for professionals with data science and big data analytics certifications that can help companies make more informed decisions. Furthermore, according to an article by Forbes, machine learning, as well as data scientist jobs, are LinkedIn’s most rapidly growing jobs at present. How are Machine Learning and Big Data Inter-Related? Before we discuss how machine learning enables us to withdraw maximum value out of big data, let us know more about the relation between machine learning and big data. When a computer examines large volumes of data and analyzes the signals, it starts to learn a pattern. So basically, a programmer does not have to feed it anything as the computer itself learns all its rules. Machine learning can be defined as a procedure in which a computer is made to think like a human brain and perform accordingly. How Big Data and Machine Learning are Being used Together in Multiple Fields? Big data is not just dominant in one field but is popular in many. There are lots of industries where data is produced in an extremely high volume and this data is generated in an unrefined form. So, first the data is properly cleaned and is made ready for evaluation and then machine learning is used to manage massive data sets. We are living in an era where robots are much more advanced than humans. They can do lots of stuff such as entertaining you as well as assisting you in making data-based decisions. You can also deal with them with voice commands or else program tools. And the great part is that they learn the commands you give them, your expected results as well as actions. It is because of machine learning that these robots are able to work so precisely in adverse conditions and uncertain environment. The finance industry is leveraging the machine learning algorithms as well. We all know that the finance industry contains lots of sensitive data. By analyzing this data through machine learning one can comprehend browser’s history relating to previous transactions, buyer’s patter and also a variety of social media activities. Data mines involve huge sets of data and machine learning offer set of devices and algorithms that facilitate in identifying possible relationships in data sets. It executes predictive analysis, it becomes easier to predict an event and react accordingly. Businesses have a vast amount of data with them. Although machine learning has been able to transform multiple facets of our lives, what is still left to be worked upon is data security. Humongous data sets are collected from our smartphones and many other mobile devices on a daily basis. Though the risks have increased, with effective use of new features as well as gadgets we can accomplish stronger security.